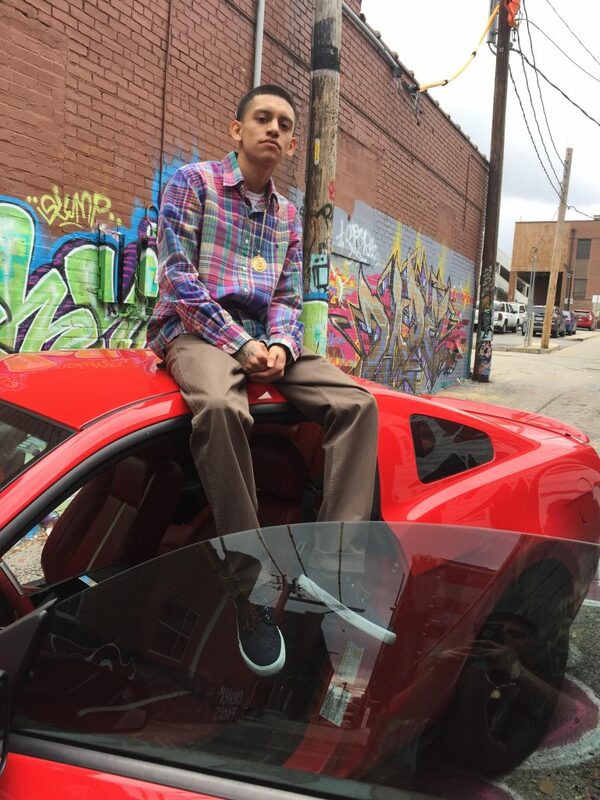 Chucho CTE is an upcoming Latin artist coming out of Kansas City, who started creating music at a very young age, showing a true gift for penning dope lyrics, and well put together songs early on in his career. After All Bay Music heard a couple songs, and acknowledging his age, we decided he was a well put together for an artist this early in his career and has a lot of growth potential. Check him out! ABM: What is your Rap name? Tell us the story behind your hip-hop name? Chucho CTE: At first that wasn’t even my name. My first name was APG. I was a freshman (13) when I first started rapping. I had made some songs and out of those songs, we picked one to make a video, but I didn’t have a rap name. So my older brother came up with APG, which is a acronym for Authentic Prodigy, playing on the letters “P” and “G” in the word prodigy. After this though I remember not being interested in making music anymore because I didn’t see it going anywhere, so I quit rapping for a couple years. During those two years I caught a pretty serious case, but after going to trial for a year and a half, I beat it. Not too long after that I ran into one of my old friends from high school and they had said they had been making music. After running into them it just really gave me motivation to get back to rapping and really taking it serious. This time I knew I wouldn’t go by the name of APG just for the simple fact that I didn’t even like the name, plus I was young when I first used that name. So this time around, honestly, it was pretty simple for me. My real name is Jesus, and Chucho is a nickname for that name, so growing up my family would call me Chucho and when I hit the streets, it just stuck everywhere I went. Even at school, the teachers got so use to hearing my classmates call me Chucho, that they did as well. I mean everybody calls me that, my family, the streets, everybody! Nobody ever called me APG, so it was just obvious to go with Chucho as my rap name. ABM: Has anything happened in your life that led to the decision of becoming a musician? Chucho CTE: I think it’s just apart of me, pretty much my whole family is artistic and takes interest in music and other arts. My nieces and nephews, everyone. My dad was actually in a band called “Las Estrella’s” when he was younger and played the trumpet. And my older brother was a big influence too, he rapped, wrote poetry and it was just destined for me to pick it up as well. ABM: How did you get your start in the hip hop scene? 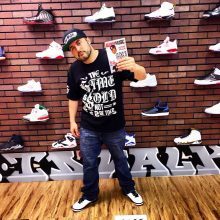 Chucho CTE: Around the age of 12 my older brother was beginning to start his own label “Coming Thru Entertainment” and he was rapping, so I would go with him to the studio and I would film him in the studio recording. So just being around him I got to see how he wrote and what not, and it just intrigued me and I knew that that was something that I really wanted to do. So I started making songs, and at first my brother didn’t take me serious, but I just stayed with it and I finally caught his attention. He really liked this one song that I had made we went and made a video for it and that was it. That was my welcome into the rap game. ABM: Where are you from, and what was it like growing up there? Chucho CTE: I’m from the West Side of Kansas City Missouri. The West Side is a really small community, it only spreads out about 13 x 7 square blocks. It’s pretty much just like any other neighborhood just a lot smaller. Right now I live in Armourdale. It’s a small neighborhood in Kansas City, Kansas. A little bigger than the West Side, but down here it’s not a close community, it’s more of a city neighborhood and there’s a lot of; “Mom and Pops” businesses, homeless people, and drugs. It’s called “Dramadale” instead of Armourdale because there’s always something going on and people are always getting shot, you hear guns shots all night, almost every night, especially during the summer. Armourdale is the epitome of grimey but it’s home and I appreciate it. ABM: What do you typically rap about? Chucho CTE: I rap about what’s on my mind, what I see, what I’ve seen, and what I’ve been through. I give my mind to my listener so they can get to know me personally. ABM: What are your last full length releases people can go check out right now? Chucho CTE: I don’t have an album out but I’m currently in the process of making one. I’ve recently made some songs with other local artist featured on them, I’ll leave the links below. ABM: What are you currently working on? Chucho CTE: Right now I’m in the process of getting my whole team together; in house producer, director, editor, engineer, etc. Also, like I said, I’m literally, at this moment, putting songs together for an album. ABM: Whats your last visual release people can check out, tell us about it. Chucho CTE: My last one was “Bout Dat”, which is on All Bay Music. ABM: What is your ultimate goal at the end of your career? Chucho CTE: I want to be one of the greatest ever. When people talk about the best rappers ever, I want my name to be mentioned. I feel I have that much talent, and that much influence, and I feel that I put so much passion in my material that it’s going to be considered amongst the best ever. I want to be here as long as I can and make the biggest impact as possible. I’m gonna make this my home and I’m not gonna leave. It’s not a race it’s a marathon and I’m going to be in it till the end. ABM: How can people reach you? Chucho CTE: You can reach me at these channels.